Although Los Angeles is known as the entertainment capital of the world, it naturally follows that it is also one of the tourist capitals of the world. Two primary reasons for this have been, and remain, Hollywood and Beverly Hills. These adjacent cities sparkle with celebrities, movie history and glamour; and dazzle with glitz, opulence and exciting bustle. 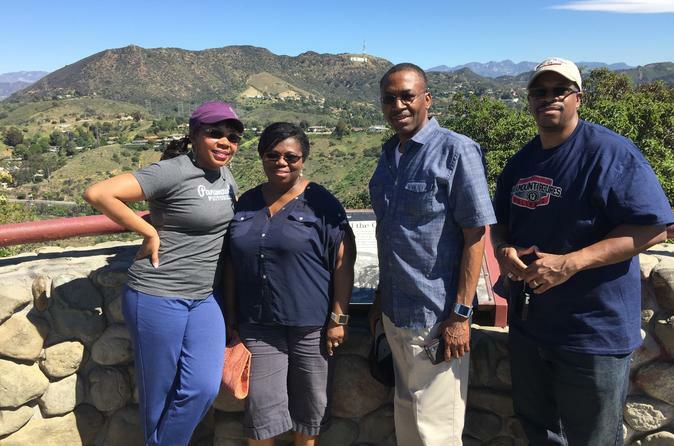 On this tour, you will be expertly escorted and see sites such as The Dolby Theatre (formerly The Kodak Theatre), home to the Oscar Awards; Grauman’s Chinese Theatre; The Walk of Fame; The El Capitan Theatre; views of The Hollywood Sign; a cruise in our comfortable and climate-controlled van down the famous Sunset Strip, where you’ll see the Chateau Marmont, The Viper Room, The Whiskey a-go-go, and more; then we will head into glittering Beverly Hills to show you celebrity homes; stunning hotels like the Beverly Hilton, the Beverly Wilshire (from Pretty Woman), and the Beverly Hills hotel; a cruise down Rodeo Drive and more!